People are taking care of their environment nowadays. Even big stores do not provide shopping bags as they are not environmental friendly. In order to have an eco-friendly wedding, you can make wedding cards by using eco-friendly materials. You can even use media such as internet in order to invite others to your wedding. 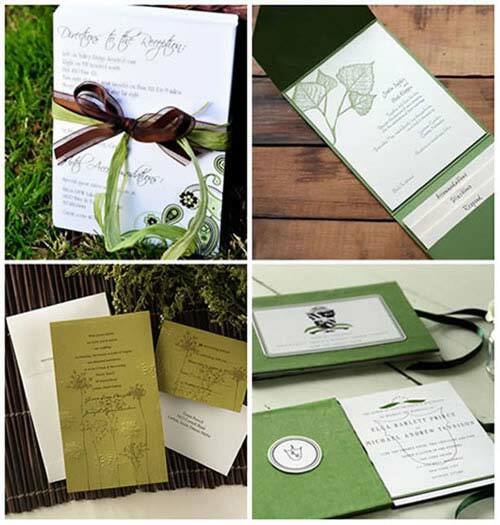 There are several choices to choose for making an eco-friendly wedding invitation. By this you will lower the waste which is related to the wedding. You can make electronic wedding invitations in order to produce an eco-friendly invitation. You can make this with your email account whether you have a gmail, yahoo, live or any other email account. These are easy to make and produce no waste. There are also some websites such as Evite or Sendomatic which let you send cool wedding or any other occasion invitations to other people. You can simply visit these websites and send your loved ones invitation cards. You can use flowerseed paper in order to make your wedding invitations. This paper has several seeds embedded into it. After you deliver the invitations and the recipient receives it, he can use it to grow flowers. The recipients plant these seeds into the ground and grow flowers. By this you not only avoid creating waste but also enhance the environment by growing flowers. Remember that flowerseed paper is easily available at the flowerseed paper Website. You can also search it on internet. You can use treeless paper instead of normal paper in order to make your wedding invitations. This is because treeless paper are more eco-friendly as compared to normal paper. You can easily find treeless paper from the gourmet mushroom products website. You can utilize old wedding and other party cards to make your wedding card. You can even use old birthday cards, party invitations and holiday cards for this purpose. You are required to cut the cards’ cover and utilize it. Write the wedding invitation on the back of that cover and give to the recipient. Remember to write a note in the bottom stating it is recycled.